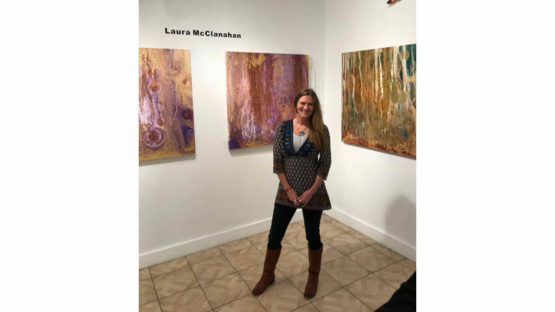 Laura McClanahan is an artist whose artwork is an exploration of natural patterns. Her main thesis is a study of water forms as a metaphor for thought patterns. Through photography and painting, Laura experiments with abstract imagery inspired by nature and her inner understanding of micro and macro patterns. Her images could be celestial or microscopic, this is her understanding of “as above, so below”. Laura graduated from Maryland Institute College of Art with an MFA degree in Studio Art. She uses experimental techniques with color darkroom photograms, video and large format printing. Laura continues to expand her explorations via both photography and painting. Her painting series are well exhibited in New York City and at Art Fairs throughout the world.